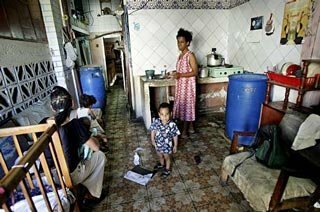 Recent news on housing in Cuba from our blog. Results from a search in the Cubaverdad archive for "housing"
"El arte nuevo de hacer ruinas" - "The new art of making ruins". A portrait of the inhabited ruins of Havana and their strange blend of magic and demolition. before they're renovated – or simply collapse altogether. 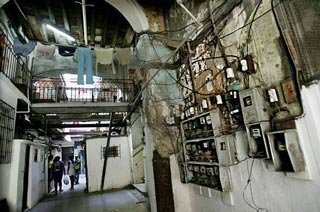 Un retrato de las ruinas habitadas de la Habana y su mezcla peculiar entre magia y demolición. German Film about Cuba and the Cuban people. Filmed in Cuba. No actors, just the Cuban people speak about the present situation of their country. This film is one hour and 30 minutes. This segment is Seven minutes.